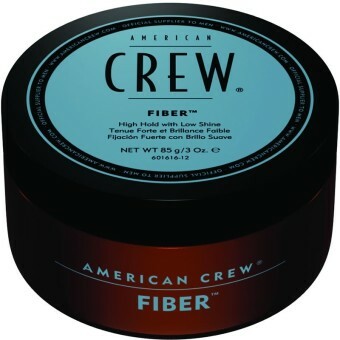 The American Crew Fiber is a high hold gel with low shine. Fiber-like, resinous product helps thicken, texturize and increase fullness to hair. Provides a strong, pliable hold with a matte finish. Works well in shorter hair, 1-3 inches in length. Suitable for all ages to look and feel good.You only need a small amount it daily. Use The American Crew Fiber to mould and sculpt your hair into any style that you prefers. American Crew is more than just a lifestyle brand or a salon supplier. It's a landmark in the history of men's grooming. It's the leading salon brand created for men specifically to meet the needs of stylists.Today American Crew continues its commitment to being one of the world's most innovative and interesting companies. Around the globe, it consistently pioneers the latest styles and the most innovative products made exclusively for men. American Crew never forgets its job is to give men and their stylists the tools they need to create stylish, masculine looks every day.